Marriage*: She married J. William Smith. [S67] The Dallas Morning News, Dallas, Tex., 17 Oct 1931, sec. 1, p. 12 (obituary of James H. Smith) (naming Susan _____ as his mother). Marriage*: He married Susan _____. [S67] The Dallas Morning News, Dallas, Tex., 17 Oct 1931, sec. 1, p. 12 (obituary of James H. Smith) (naming J. W. Smith as his father). [S67] The Dallas Morning News, Dallas, Tex., 15 Mar 1947, p. 2 (obituary of Charles Winston Smith) (naming J. William Smith as his father). [S955] Jim Breckenridge, electronic mail to Roger Bartlett, 15 Mar 2004, (naming Myrl Wengler as her father). [S955] Jim Breckenridge, electronic mail to Roger Bartlett, 15 Mar 2004. [S1108] Social Security Death Index, online at http://tinyurl.com/RootswebSSDI, viewed on 30 Dec 2006. Other Names*: Jean Taylor, Jean O. Taylor. [S67] The Dallas Morning News, Dallas, Tex., 5 Dec 1933, sec. 1, p. 4 (obituary of William S. Taylor) (naming William S. Taylor as the father of Jean O. Taylor). [S67] The Dallas Morning News, Dallas, Tex., 2 Oct 1976, sec. E, p. 30 (obituary of Jean O. Taylor) (not giving the date but stating that he was sixty-eight years old when he died on 25 Sep 1976). [S312] Social Security Death Index, online at http://tinyurl.com/AncestrySSDI, viewed on 14 May 2006. [S67] The Dallas Morning News, Dallas, Tex., 2 Oct 1976, sec. E, p. 30 (obituary of Jean O. Taylor). [S312] Social Security Death Index, online at http://tinyurl.com/AncestrySSDI, viewed on 14 May 2006 (stating that he died in Sep 1976; not naming the place of death but stating that he lived in Lewisville, Arkansas when he died). [S67] The Dallas Morning News, Dallas, Tex., 5 Dec 1933, sec. 1, p. 4 (obituary of William S. Taylor) (naming William S. Taylor as the father of Berry B. Taylor). [S312] Social Security Death Index, online at http://tinyurl.com/AncestrySSDI, viewed on 14 May 2006 (giving the date but not the place). [S1069] Fort Worth Star-Telegram, Fort Worth, Tex., 8 Apr 1994, p. 25 (obituary of Berry Brooks Taylor) (stating that he was born in Dallas, Texas; not giving the date but stating that he was seventy-six years old when he died on 7 Apr 1994). [S312] Social Security Death Index, online at http://tinyurl.com/AncestrySSDI, viewed on 14 May 2006 (stating that he died on 7 Apr 1994; not naming the place of death but stating that he lived in Cleburne, Texas when he died). [S1069] Fort Worth Star-Telegram, Fort Worth, Tex., 8 Apr 1994, p. 25 (obituary of Berry Brooks Taylor) (stating that he died at his home in Cleburne, Texas on 7 Apr 1994). [S1069] Fort Worth Star-Telegram, Fort Worth, Tex., 8 Apr 1994, p. 25 (obituary of Berry Brooks Taylor). Other Names*: Mary Taylor, Mary Charles Taylor Jacobie, Mary Charles Jacobie, Mary Taylor Jacobie, Mary Jacobie. [S67] The Dallas Morning News, Dallas, Tex., 5 Dec 1933, sec. 1, p. 4 (obituary of William S. Taylor) (naming William S. Taylor as her father). [S67] The Dallas Morning News, Dallas, Tex., 25 Sep 2002, p. 31A (obituary of Mary Charles Taylor Jacobie). [S1107] Cemetery marker, Cochran Chapel Cemetery, Dallas, Texas (giving the date but not the place). [S67] The Dallas Morning News, Dallas, Tex., 19 Dec 1950, pt. III, p. 8 (obituary of Mrs. Beulah Taylor). [S312] Social Security Death Index, online at http://tinyurl.com/AncestrySSDI, viewed on 14 May 2006 (stating that she died on 21 Sep 2002; not naming the place of death but stating that she lived in Plano, Texas when she died). [S1107] Cemetery marker, Cochran Chapel Cemetery, Dallas, Texas (not giving the date). Other Names*: Mary Johnson, Mary Kate Johnson Gulick, Mary Kate Gulick, Mary Johnson Gulick, Mary Gulick. [S67] The Dallas Morning News, Dallas, Tex., 14 Jan 1912, pt. III, p. 6 (marriage of Wiley Gulick Clarkson and Mark Kate Johnson) (naming Dr. S. W. Johnson as her father). [S961] Find A Grave, online at http://www.findagrave.com, memorial for Mary Kate Johnson Clarkson, memorial no. 118157681, viewed on 28 Jul 2014. [S67] The Dallas Morning News, Dallas, Tex., 14 Jan 1912, pt. III, p. 6. 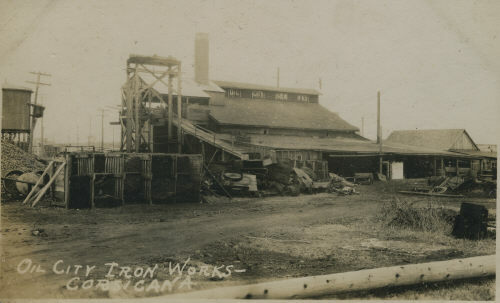 Oil City Iron Works, Corsicana, Tex., courtesy of Edward L. Williams. Other Names*: Wiley Clarkson, Sr., William Gulick Clarkson, Sr., William Clarkson, Sr.
"W. G. Clarkson, 66, died at his home in Fort Worth late Monday night [May 5, 1952] from a heart attack. He had been a prominent architect in Fort Worth 40 years. "A native of Corsicana, Clarkson was one of the owners of the Oil City Iron Works and owned other properties here. "He had been in Corsicana a considerable portion of the last two years incident to his work with local institutions. His firm is the architect for the $1,600,000 Navarro County Memorial Hospital plant, the Navarro Junior College home, the new Medical Arts clinic being erected near the Memorial hospital, and the extensive Corsicana school district improvements under way including a new ward school two physical education plants, and other improvements. "Surviving are his wife, a son, W. B. Clarkson, Jr., both of Fort Worth; two grandsons; three sisters, Mrs. Bert Nicol, Corsicana; Mrs. Stuart Woods, Kansas City, and Mrs. Felix D. Evans, Dallas, and a number of nieces and nephews. • His biography, written by his grandson, is here. • A history of Oil City Iron Works, also written by his grandson and which originally was published in 1975 in the Navarro County Scroll, the publication of the Navarro County Historical Society, is on the Navarro County, Texas Genealogical and Historical Web Site here. [S961] Find A Grave, online at http://www.findagrave.com, memorial for Wiley Gulick Clarkson, Sr., memorial no. 118157680, viewed on 28 Jul 2014 (giving the date but not the place). 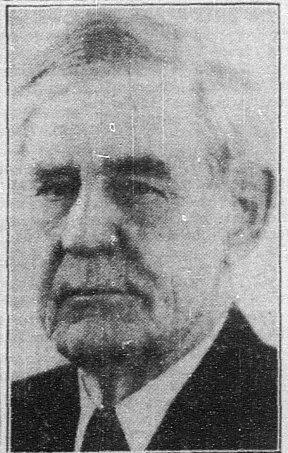 [S1207] Corsicana Daily Sun, Corsicana, Tex., online archive at http://corsicana.newspaperarchive.com, 6 May 1952, p. 1, col. 6 (obituary of W. G. Clarkson, Sr.). [S1207] Corsicana Daily Sun, Corsicana, Tex., online archive, above, 6 May 1952, p. 1, col. 6 (obituary of W. G. Clarkson, Sr.) (stating that he died of a heart attack late that night). [S961] Find A Grave, online, above, memorial for Wiley Gulick Clarkson, Sr., memorial no. 118157680, viewed on 28 Jul 2014 (not giving the date). [S1207] Corsicana Daily Sun, Corsicana, Tex., online archive, above, 6 May 1952, p. 1, col. 6 (obituary of W. G. Clarkson, Sr.) (stating that burial would be on 7 May 1952 in Fort Worth, Texas without naming the cemetery). [S1207] Corsicana Daily Sun, Corsicana, Tex., online archive, above, 6 May 1952, p. 1, col. 6 (reprinted here with consent of the Corsicana Daily Sun). [S67] The Dallas Morning News, Dallas, Tex., 7 Apr 1977, sec. B, p. 16 (obituary of Mrs. Ann Davenport) (giving her name as Mrs. Ann Davenport at the time of her death). [S67] The Dallas Morning News, Dallas, Tex., 28 Dec 1932, sec. 1, p. 3 (obituary of Daniel Bachman) (naming Mrs. J. A. Davenport as a surviving daughter of Daniel Bachman without giving Mrs. Davenport's name). [S67] The Dallas Morning News, Dallas, Tex., 6 Apr 1956, sec. 1, p. 9 ("Death Takes Official of Drug Firm") (identifying her as Mrs. Fred Hempel and naming G. H. Cochran as her father). [S1107] Cemetery marker, Cochran Chapel Cemetery, Dallas, Texas. [S67] The Dallas Morning News, Dallas, Tex., 6 Apr 1956, sec. 1, p. 9 ("Death Takes Official of Drug Firm") (identifying her as Mrs. Fred Hempel). [S67] The Dallas Morning News, Dallas, Tex., 16 Oct 1993, p. 32A (obituary of Margaret C. Hempel). [S1107] Cemetery marker, Cochran Chapel Cemetery, Dallas, Texas (common marker with Henry Mack Haney) (not giving the date). [S1107] Cemetery marker, Cochran Chapel Cemetery, Dallas, Texas (common marker with Margaret Cochran Hempel). [S67] The Dallas Morning News, Dallas, Tex., 6 Apr 1956, sec. 1, p. 9 ("Death Takes Official of Drug Firm") (identifying her as Mrs. W. L. C. Williams and naming G. H. Cochran as her father). [S67] The Dallas Morning News, Dallas, Tex., 6 Apr 1956, sec. 1, p. 9 ("Death Takes Official of Drug Firm") (identifying her as Mrs. W. L. C. Williams). [S1108] Social Security Death Index, online at http://tinyurl.com/RootswebSSDI, viewed on 3 Feb 2007 (stating that she died on 20 Nov 2003; not naming the place of death but stating that she lived in Oklahoma City, Okla. when she died). [S1107] Cemetery marker, Cochran Chapel Cemetery, Dallas, Texas (common marker with William Llewelyn Charles Williams). [S1108] Social Security Death Index, online at http://tinyurl.com/RootswebSSDI, viewed on 3 Feb 2007 (not naming the place of death but stating that he lived in Oklahoma City, Okla. when he died). [S1107] Cemetery marker, Cochran Chapel Cemetery, Dallas, Texas (common marker with Nell Cochran Williams). [S67] The Dallas Morning News, Dallas, Tex., 25 Jun 1946, sec. 1, p. 4 ("Mrs. Garrett Dies in Illinois") (identifying her as Mrs. W. Taylor Jones); 6 Apr 1956, sec. 1, p. 9 ("Death Takes Official of Drug Firm") (identifying her as Mrs. Katie Jones). [S1108] Social Security Death Index, online at http://tinyurl.com/RootswebSSDI, viewed on 3 Feb 2007 (not naming the place of death but stating that he lived in Dallas, Tex. when he died). [S1107] Cemetery marker, Cochran Chapel Cemetery, Dallas, Texas (common marker with Katie Lee Cochran Jones). [S67] The Dallas Morning News, Dallas, Tex., 18 May 1952, part 4, p. 13 (obituary of J. S. Pulliam). [S67] The Dallas Morning News, Dallas, Tex., 25 Jun 1946, sec. 1, p. 4 ("Mrs. Garrett Dies in Illinois") (identifying her as Mrs. J. S. Pulliam). Betty Cochran Meletio's grave marker, Cochran Chapel Cemetery, Dallas, Tex., photographed by Roger Bartlett. [S67] The Dallas Morning News, Dallas, Tex., 6 Oct 1955, part 1, p. 8 ("Member of Pioneer Family Dies") (stating that Mrs. Jack E. Meletio of Dallas was the surviving daughter of James R. Cochran). [S67] The Dallas Morning News, Dallas, Tex., 27 Oct 1937, part 1, p. 12 (naming J. R. Cochran as her father). [S961] Find A Grave, online at http://www.findagrave.com, memorial for Betty Cochran Meletio, memorial no. 66122325, viewed on 11 May 2014. [S67] The Dallas Morning News, Dallas, Tex., 27 Oct 1937, part 1, p. 12. [S961] Find A Grave, online, above, memorial for Betty Cochran Meletio, memorial no. 66122325, viewed on 11 May 2014 (not giving the date or place). [S961] Find A Grave, online, above, memorial for John E. 'Jack' Meletio, memorial no. 66122314, viewed on 11 May 2014 (not giving the date or place). [S67] The Dallas Morning News, Dallas, Tex., 24 Mar 1986, p. 13B (obituary of Betty Cochran Meletio). [S1108] Social Security Death Index, online at http://tinyurl.com/RootswebSSDI, viewed on 3 Feb 2007 (stating that she died in Mar 1986; not naming the place of death but stating that she lived in Dallas, Tex. when she died). [S961] Find A Grave, online, above, memorial for Betty Cochran Meletio, memorial no. 66122325, viewed on 11 May 2014 (giving the date but not the place). [S1107] Cemetery marker, Cochran Chapel Cemetery, Dallas, Texas (common marker with John E. Meletio) (not giving the date). [S67] The Dallas Morning News, Dallas, Tex., 24 Mar 1986, p. 13B (obituary of Betty Cochran Meletio) (giving the date of her funeral but not the place of burial). [S961] Find A Grave, online, above, memorial for Betty Cochran Meletio, memorial no. 66122325, viewed on 11 May 2014 (not giving the date). [S67] The Dallas Morning News, Dallas, Tex., 27 Oct 1937, part 1, p. 12 (marriage to Jack Meletio), 24 Mar 1986, p. 13B (obituary of Betty Cochran Meletio). 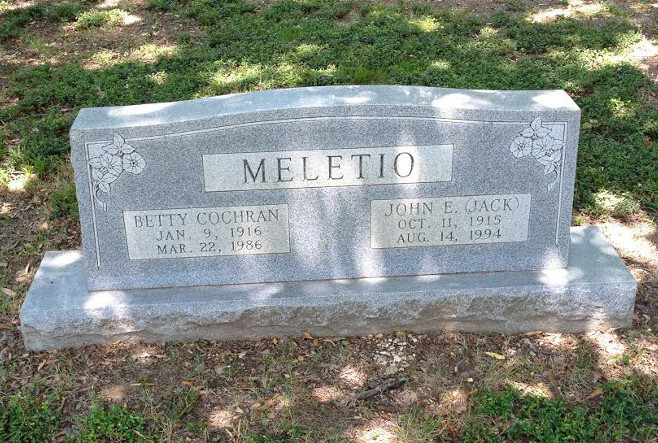 Jack Meletio's grave marker, Cochran Chapel Cemetery, Dallas, Tex., photographed by Roger Bartlett. [S67] The Dallas Morning News, Dallas, Tex., 27 Oct 1937, part 1, p. 12 (naming Alex Meletio, Sr. as his father). [S961] Find A Grave, online at http://www.findagrave.com, memorial for John E. 'Jack' Meletio, memorial no. 66122314, viewed on 11 May 2014. [S1107] Cemetery marker, Cochran Chapel Cemetery, Dallas, Texas (common marker with Betty Cochran Meletio) (not giving the date). [S67] The Dallas Morning News, Dallas, Tex., 16 Aug 1994, p. 21A (obituary of Jack Meletio). [S961] Find A Grave, online, above, memorial for John E. 'Jack' Meletio, memorial no. 66122314, viewed on 11 May 2014 (not giving the date). William Rhea Cochran's grave marker, Cochran Chapel Cemetery, Dallas, Tex., photographed by Roger Bartlett. [S1108] Social Security Death Index, online at http://tinyurl.com/RootswebSSDI, viewed on 3 Feb 2007 (giving the date but not the place). [S961] Find A Grave, online at http://www.findagrave.com, memorial for William Rhea Bolie Cochran, memorial no. 68573073, viewed on 26 Feb 2014 (giving the date but not the place). [S67] The Dallas Morning News, Dallas, Tex., 22 Jan 1972, sec. D, p. 3 (obituary of William Rhea Cochran). [S1108] Social Security Death Index, online at http://tinyurl.com/RootswebSSDI, viewed on 3 Feb 2007 (stating that he died in Jan 1972; not naming the place of death but stating that he lived in Dallas, Tex. when he died). [S755] Anna Baker & Anne Cochran, Cochran Chapel Cemetery (1976), above (naming the place but not giving the date). [S1107] Cemetery marker, Cochran Chapel Cemetery, Dallas, Texas (common marker with Dorothy Shaw Cochran) (not giving the date). [S961] Find A Grave, online, above, memorial for William Rhea Bolie Cochran, memorial no. 68573073, viewed on 26 Feb 2014 (not giving the date). [S915] Margie Daniels, electronic mail to gaputnam-l, 30 Dec 2003. [S976] The Dallas Morning News, Dallas, Tex., online at http://www.dallasnews.com, 14 Jun 2005 (obituary for Alice Charlene Cochran Styron), viewed on 26 Feb 2014 (naming William Rhea Cochran as her father). [S67] The Dallas Morning News, Dallas, Tex., 26 Oct 1931, sec. 2, p. 1 ("Dallas County Pioneer Dies Within Mile of Place Where She Was Born 79 Years Ago") (naming Obadiah Knight as her father). [S67] The Dallas Morning News, Dallas, Tex., 26 Oct 1931, sec. 2, p. 1 ("Dallas County Pioneer Dies Within Mile of Place Where She Was Born 79 Years Ago") (naming Serena Hughes as her mother). [S67] The Dallas Morning News, Dallas, Tex., 26 Oct 1931, sec. 2, p. 1 ("Dallas County Pioneer Dies Within Mile of Place Where She Was Born 79 Years Ago") (stating that she was born in Dallas County, Texas; not giving the date but stating that she was seventy-nine years old when she died on 25 Oct 1931). [S67] The Dallas Morning News, Dallas, Tex., 26 Oct 1931, sec. 2, p. 1 ("Dallas County Pioneer Dies Within Mile of Place Where She Was Born 79 Years Ago"). [S755] Anna Baker & Anne Cochran, Cochran Chapel Cemetery (1976), above (giving the date but not the place). [S755] Anna Baker & Anne Cochran, Cochran Chapel Cemetery (1976), above (giving the place but not the date). [S67] The Dallas Morning News, Dallas, Tex., 26 Oct 1931, sec. 2, p. 1 ("Dallas County Pioneer Dies Within Mile of Place Where She Was Born 79 Years Ago") (stating that her funeral was on 26 Oct 1931, thus implying that she was buried on that date, but not naming the place of burial). [S67] The Dallas Morning News, Dallas, Tex., 18 Nov 1918, p. 7 (obituary of Lt. Knight Field) (naming Lt. Knight Field as a brother of Mrs. Whitfield Harral). [S755] Anna Baker & Anne Cochran, Cochran Chapel Cemetery (1976), above (naming Kate Field as his mother). [S67] The Dallas Morning News, Dallas, Tex., 18 Nov 1918, p. 7 (obituary of Lt. Knight Field) (naming Lt. Knight Field as a brother of John Y. Field). [S755] Anna Baker & Anne Cochran, Cochran Chapel Cemetery (1976), above (naming Kate Field as her mother). [S67] The Dallas Morning News, Dallas, Tex., 18 Nov 1918, p. 7 (obituary of Lt. Knight Field) (naming Lt. Knight Field as a brother of Mrs. James G. Field). [S67] The Dallas Morning News, Dallas, Tex., 18 Nov 1918, p. 7 (obituary of Lt. Knight Field) (naming Lt. Knight Field as a brother of Thomas U. Field). [S67] The Dallas Morning News, Dallas, Tex., 26 Mar 1960, sec. 1, p. 11 (obituary of Mrs. Serena Field Carwile) (naming Obediah and Serena Hughes Knight as her grandparents). [S67] The Dallas Morning News, Dallas, Tex., 18 Nov 1918, p. 7 (obituary of Lt. Knight Field) (naming Lt. Knight Field as a brother of Mrs. W. L. Carwile). [S67] The Dallas Morning News, Dallas, Tex., 18 Nov 1918, p. 7 (obituary of Lt. Knight Field) (naming Lt. Knight Field as a brother of Mrs. H. R. Carwile). [S67] The Dallas Morning News, Dallas, Tex., 31 Jul 1977, sec. A, p. 27 (funeral notice for Mrs. Katie Lee Carwile) (naming Katherine Field as her mother). [S67] The Dallas Morning News, Dallas, Tex., 18 Nov 1918, p. 7 (obituary of Lt. Knight Field) (naming Lt. Knight Field as a brother of E. K. Field). [S67] The Dallas Morning News, Dallas, Tex., 18 Nov 1918, p. 7 (obituary of Lt. Knight Field) (naming Lt. Knight Field as a brother of Mrs. Earl Watterworth). [S67] The Dallas Morning News, Dallas, Tex., 18 Nov 1918, p. 7 (obituary of Lt. Knight Field) (naming Lt. Knight Field as a brother of Miss Lucy Field). SUCCUMBS TO LONG ILLNESS—FUNERAL FRIDAY MORNING. Born in Missouri in 1835, He Had Lived in Dallas Forty-Three Years. John Field, for forty-three years a prominent resident of Dallas and the head of an esteemed family, died last night at 9:30 o'clock at the family homestead, 3201 Welborn street. He had been confined to his bed for nearly a year afflicted with dropsy. His last moments were peaceful and he died surrounded by his large family. The funeral will be conducted at the home Friday morning at 10:30 o'clock. Active pallbearers have been chosen as follows: W. W. Weston, Maj. B. P. Jett, Sydney Noell, George Hughes, W. B. Taylor and H. H. Smith. The honorary pallbearers are as follows: James M. Cochran, Epps G. Knight, R. E. L. Knight, E. J. Gannon, Col. S. E. Moss, J. A. Mahon, Vick Bowles, Jim Field of McKinney, Col. Jonce Dowell of McKinney, John W. Field, L. V. Meyer and Col. Henry Exall. Mr. Field was a descendant of a fine old English family. He was born at Warsaw, Henry County, Mo., Feb. 12, 1835, and was the eldest of five children. During the Civil War he was Indian Agent at Fort Arbuckle, Indian Territory. 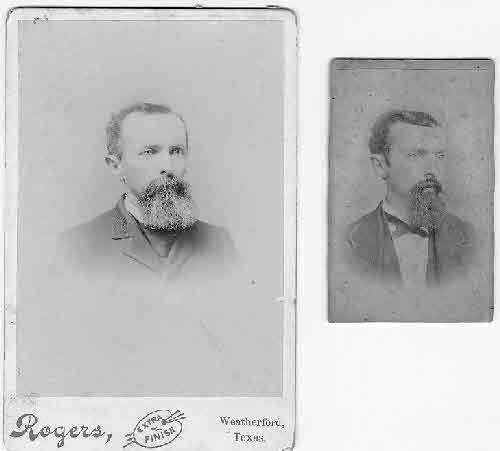 He came to Collin County, Texas, in 1866, and about two years later came to Dallas County. During the active years of his life he was a farmer and was one of the leaders in practical farming in Texas. He contributed many articles to various publications on agricultural subjects. In 1871 he married Miss Katie Knight, sister of Epps G. Knight and R. E. L. Knight of Dallas. His wife has been a tireless watcher at the bed of affliction all the months of Mr. Field's last illness. Besides the widow, the following children survive: Joe Field, Dallas; Dr. Knight W. Field, County Health Officer, Dallas County; Mrs. Whitfield Harral, Dallas; Mrs. James G. Field of Chicago; Mrs. W. L. Carwile, Dallas; Mrs. Hugh L. Carwile, Marshall; Thomas Field and Epps Field, Miss Gussie Field and Miss Lucy Wilson Field of Dallas. Of his brothers and sisters, only two survive him, Mrs. M. A. Bartholow of Dallas and Mrs. William H. Sells of Berkeley, Cal. Mr. Field retired from work several years ago, but retained his active mind until the last days of his life. He gook a keen interest in affairs of the day. He was much interested in the work of the Texas Industrial Congress and only recently expressed the desire to have Col. Exall come out to his home and talk with him. It was a hobby of Mr. Field to keep a diary of the weather which, kept faithfully through many years, was a source of interest and usefulness in his business of farming. [S67] The Dallas Morning News, Dallas, Tex., 11 Jan 1912, p. 5 (obituary of John Field). [S67] The Dallas Morning News, Dallas, Tex., 22 Nov 1953, part 3, pp. 1, 11 (obituary of Tom W. Field) (giving the year but not the month and day or the place). [S67] The Dallas Morning News, Dallas, Tex., 11 Jan 1912, p. 5 (obituary of John Field) (giving the date but not naming the place). [S67] The Dallas Morning News, Dallas, Tex., 11 Jan 1912, p. 5. [S67] The Dallas Morning News, Dallas, Tex., 22 Nov 1953, part 3, pp. 1, 11 (obituary of Tom W. Field). [S67] The Dallas Morning News, Dallas, Tex., 18 Nov 1918, p. 7 (obituary of Lt. Knight Field) (naming Lt. Knight Field as a son of John Field and a brother of Mrs. Whitfield Harral). [S755] Anna Baker & Anne Cochran, Cochran Chapel Cemetery (1976), above (naming John Field as his father). [S67] The Dallas Morning News, Dallas, Tex., 18 Nov 1918, p. 7 (obituary of Lt. Knight Field) (naming Lt. Knight Field as a son of John Field and a brother of John Y. Field). 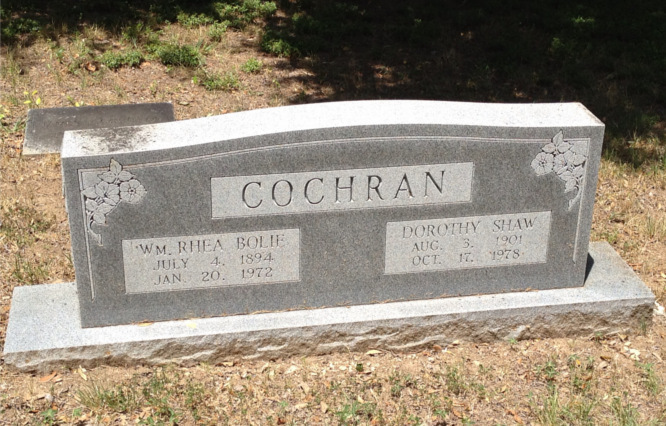 [S755] Anna Baker & Anne Cochran, Cochran Chapel Cemetery (1976), above (naming John Field as her father). [S67] The Dallas Morning News, Dallas, Tex., 18 Nov 1918, p. 7 ("Lieutenant Knight Field Died in France Oct. 13") (naming John Field as his father). [S67] The Dallas Morning News, Dallas, Tex., 18 Nov 1918, p. 7 (obituary of Lt. Knight Field) (naming Lt. Knight Field as a son of John Field and a brother of Mrs. James G. Field). [S67] The Dallas Morning News, Dallas, Tex., 18 Nov 1918, p. 7 (obituary of Lt. Knight Field) (naming Lt. Knight Field as a son of John Field and a brother of Thomas U. Field). [S67] The Dallas Morning News, Dallas, Tex., 26 Mar 1960, sec. 1, p. 11 (obituary of Mrs. Serena Field Carwile) (naming John Field as her father). [S67] The Dallas Morning News, Dallas, Tex., 18 Nov 1918, p. 7 (obituary of Lt. Knight Field) (naming Lt. Knight Field as a son of John Field and a brother of Mrs. W. L. Carwile). [S67] The Dallas Morning News, Dallas, Tex., 18 Nov 1918, p. 7 (obituary of Lt. Knight Field) (naming Lt. Knight Field as a son of John Field and a brother of Mrs. H. R. Carwile). [S67] The Dallas Morning News, Dallas, Tex., 31 Jul 1977, sec. A, p. 27 (funeral notice for Mrs. Katie Lee Carwile) (naming John Field as her father). [S67] The Dallas Morning News, Dallas, Tex., 18 Nov 1918, p. 7 (obituary of Lt. Knight Field) (naming Lt. Knight Field as a son of John Field and a brother of E. K. Field). [S67] The Dallas Morning News, Dallas, Tex., 18 Nov 1918, p. 7 (obituary of Lt. Knight Field) (naming Lt. Knight Field as a son of John Field and a brother of Mrs. Earl Watterworth). [S67] The Dallas Morning News, Dallas, Tex., 18 Nov 1918, p. 7 (obituary of Lt. Knight Field) (naming Lt. Knight Field as a son of John Field and a brother of Miss Lucy Field). R.E.L. Knight, from a newspaper obituary. [S67] The Dallas Morning News, Dallas, Tex., 26 Oct 1931, sec. 2, p. 1 ("Dallas County Pioneer Dies Within Mile of Place Where She Was Born 79 Years Ago") (naming Obadiah Knight as his father). [S1021] Darwin Payne, As Old As Dallas Itself: A History of the Lawyers of Dallas, the Dallas Bar Associations, and the City They Helped Build (Dallas, Tex. : Three Forks Press, 1900), p. 72 (stating that he was the youngest child of Obediah W. Knight). [S67] The Dallas Morning News, Dallas, Tex., 26 Oct 1931, sec. 2, p. 1 ("Dallas County Pioneer Dies Within Mile of Place Where She Was Born 79 Years Ago") (naming Serena Hughes as his mother). [S67] The Dallas Morning News, Dallas, Tex., 7 Mar 1936, sec. 1, p. 1 ("'Colonel Bob' Knight, Beloved and Brilliant Texas Personage, Dies"). [S1021] Darwin Payne, As Old As Dallas Itself, above, p. 72 (stating that he was born in 1865 in Dallas County, Texas). [S67] The Dallas Morning News, Dallas, Tex., 9 Mar 1936, sec. 1, p. 3 ("Funeral Services Will Be Monday for R. E. L. Knight"). [S1021] Darwin Payne, As Old As Dallas Itself, above, p. 72 (giving the year but not the month and day or the place). [S1021] Darwin Payne, As Old As Dallas Itself, above, pp. 72-73, 90. 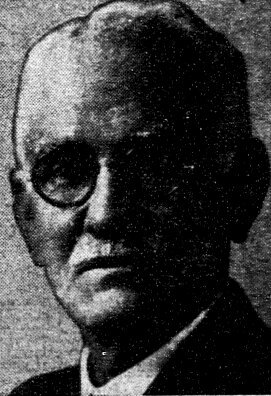 Epps G. Knight, from a newspaper obituary. [S67] The Dallas Morning News, Dallas, Tex., 8 Nov 1943, sec. 2, pp. 1, 7 ("Epps G. Knight, 85, Dallas Pioneer, Dies") (naming Obadiah W. Knight as his father). [S67] The Dallas Morning News, Dallas, Tex., 8 Nov 1943, sec. 2, pp. 1, 7 ("Epps G. Knight, 85, Dallas Pioneer, Dies") (naming Serena C. Knight as his mother). [S67] The Dallas Morning News, Dallas, Tex., 8 Nov 1943, sec. 2, pp. 1, 7 ("Epps G. Knight, 85, Dallas Pioneer, Dies"). [S67] The Dallas Morning News, Dallas, Tex., 4 Sep 1935, sec. 1, p. 4 ("Early Dallas Resident Fatally Stricken With Heart Attack at Home") (giving the year but not the month or day). [S1020] Sam March, Descendants of Obadiah Knight, above (stating that they married in 1887 without giving the month or date). [S67] The Dallas Morning News, Dallas, Tex., 1 Oct 1964, sec. 1, p. 21 (obituary of Mrs. Alva Owen Knight) (not giving the date). [S67] The Dallas Morning News, Dallas, Tex., 26 Feb 1940, sec. 2, p. 5 ("Epps G. Knight Marks Birthday With Party") (naming Epps G. Knight as her father). [S67] The Dallas Morning News, Dallas, Tex., 8 Nov 1943, sec. 2, pp. 1, 7 ("Epps G. Knight, 85, Dallas Pioneer, Dies") (naming Epps Gabriel Knight as his father). [S1170] Ann Hill, Dallas, Tex., chart of descendants of William A. Patton sent to Roger Bartlett, 14 Oct 2007 (giving his name as Epps B. Knight and naming Epps Gabriel Knight as his father). [S1170] Ann Hill, chart of descendants of William Al Patton, above (naming Epps Gabriel Knight as his father). [S67] The Dallas Morning News, Dallas, Tex., 8 Nov 1943, sec. 2, pp. 1, 7 ("Epps G. Knight, 85, Dallas Pioneer, Dies") (naming Epps Gabriel Knight as her father). [S1170] Ann Hill, chart of descendants of William Al Patton, above (naming Epps Gabriel Knight as her father). [S67] The Dallas Morning News, Dallas, Tex., 22 Dec 1964, sec. 4, p. 4 (obituary of George S. Knight) (naming Epps G. Knight as his father and Obadiah Knight as his grandfather). [S67] The Dallas Morning News, Dallas, Tex., 26 Oct 1931, sec. 2, p. 1 ("Dallas County Pioneer Dies Within Mile of Place Where She Was Born 79 Years Ago") (giving her name as Maggie and naming Obadiah Knight as her father). [S67] The Dallas Morning News, Dallas, Tex., 26 Oct 1931, sec. 2, p. 1 ("Dallas County Pioneer Dies Within Mile of Place Where She Was Born 79 Years Ago") (giving her name as Maggie and naming Serena Hughes as her mother). [S67] The Dallas Morning News, Dallas, Tex., 18 Mar 1937, sec. 1, p. 6 ("Obadiah Knight's Last Daughter Is Dead at Arlington"). [S67] The Dallas Morning News, Dallas, Tex., 18 Mar 1937, sec. 1, p. 6 ("Obadiah Knight's Last Daughter Is Dead at Arlington") (stating that her funeral was on 18 Mar 1937, thus implying that she was buried on that date, and stating that she would be buried in Weatherford, Texas). [S1020] Sam March, Descendants of Obadiah Knight, above (naming Margaret Amanda Knight as her mother). [S67] The Dallas Morning News, Dallas, Tex., 18 Mar 1937, sec. 1, p. 6 ("Obadiah Knight's Last Daughter Is Dead at Arlington") (naming Margaret Amanda Knight as her mother). [S1020] Sam March, Descendants of Obadiah Knight, above (naming Margaret Amanda Knight as his mother). [S67] The Dallas Morning News, Dallas, Tex., 18 Mar 1937, sec. 1, p. 6 ("Obadiah Knight's Last Daughter Is Dead at Arlington") (naming Margaret Amanda Knight as his mother). Benjamin Bartlett Cannon II, courtesy of Sam March. [S1020] Sam March, Descendants of Obadiah Knight, above (naming Eliza Tunnell as his mother). [S67] The Dallas Morning News, Dallas, Tex., 18 Mar 1937, sec. 1, p. 6 ("Obadiah Knight's Last Daughter Is Dead at Arlington") (stating that he died in 1924 without giving other information). [S1020] Sam March, Descendants of Obadiah Knight, above (naming Benjamin Bartlett Cannon II as her father). [S1020] Sam March, Descendants of Obadiah Knight, above (naming Benjamin Bartlett Cannon II as his father). [S67] The Dallas Morning News, Dallas, Tex., 31 Jan 1966, sec. A, p. 7 (obituary of John Leslie Harrison) (naming John Leslie Harrison as his father). [S67] The Dallas Morning News, Dallas, Tex., 9 Oct 1948, sec. 2, p. 18 (obituary of Miss Mary A. Cochran) (stating that he was a nephew of Miss Mary A. Cochran). [S67] The Dallas Morning News, Dallas, Tex., 9 Oct 1948, sec. 2, p. 10 (obituary of Miss Mary A. Cochran) (stating that he was a nephew of Miss Mary A. Cochran). [S67] The Dallas Morning News, Dallas, Tex., 8 Aug 1973, sec. E, p. 9 (funeral notice for Mrs. Martha A. Harrison) (naming Mrs. Martha A. Harrison as his mother). [S1108] Social Security Death Index, online at http://tinyurl.com/RootswebSSDI, viewed on 3 Feb 2007 (stating that he died in Jan 1978; not naming the place of death but stating that last benefits were sent to an address in Dallas, Tex. ).